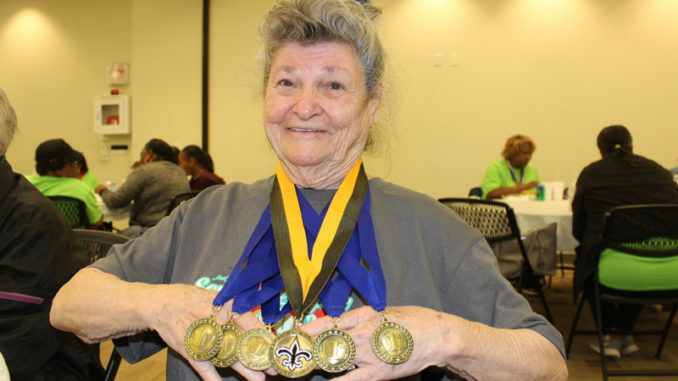 Edie Corso of Destrehan showing her medals from the Senior Olympics. Edie Corso proudly displayed her Senior Olympics gold medal, although she absolutely beamed over an equally important honor that she also wore amongst her many medals. At age 82, the Destrehan resident is the nation’s eighth best horseshoe thrower with the National Horseshoe Pitchers Association (NHPN). “I never thought I’d go that far,” Corso said. She has the plaque to prove it, which states she received the honor in 2017 in the women’s division, which is equally notable that she competed with women of all ages. Of her 100 tosses, Corso said nearly half of them were “ringers” or horseshoes that made their target. 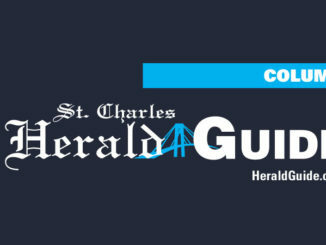 Last Thursday, she was among the Olympic contenders for the district event of the Senior Olympics that included the javelin, discus and shot put – she won gold in all three in her category at the Edward Dufresne Community Center. Her many new medals also include the one she recently received for placing first in the district horseshoe competition in Waggaman. Fighting back tears, Corso recounts how she got into the competition nearly 25 years ago when her husband died of cancer. 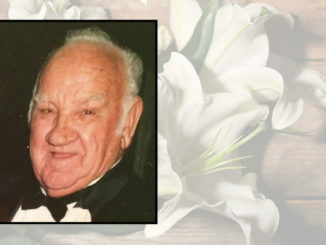 But, before his passing, she said he encouraged her to participate in the Senior Olympics, which she did and loved. 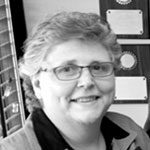 Soon, she discovered that doing it once or twice a year just wasn’t enough so she joined NHPN, which is considered the governing body for the sport of horseshoe pitching in the United States. She tosses horseshoes every week now, and she’s been to seven world tournaments, all held in the U.S., that have taken her throughout the nation. 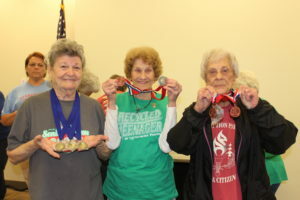 She’s also placed third and sixth in the national Senior Olympics. Corso isn’t entirely sure why she enjoys the sport, but she does appreciate it boosting her eye and hand coordination. As for the Special Olympics, Corso is ready for the October Competition. She’s going in hot with her district win.